We took Large Transport Pack and gave it wheels! 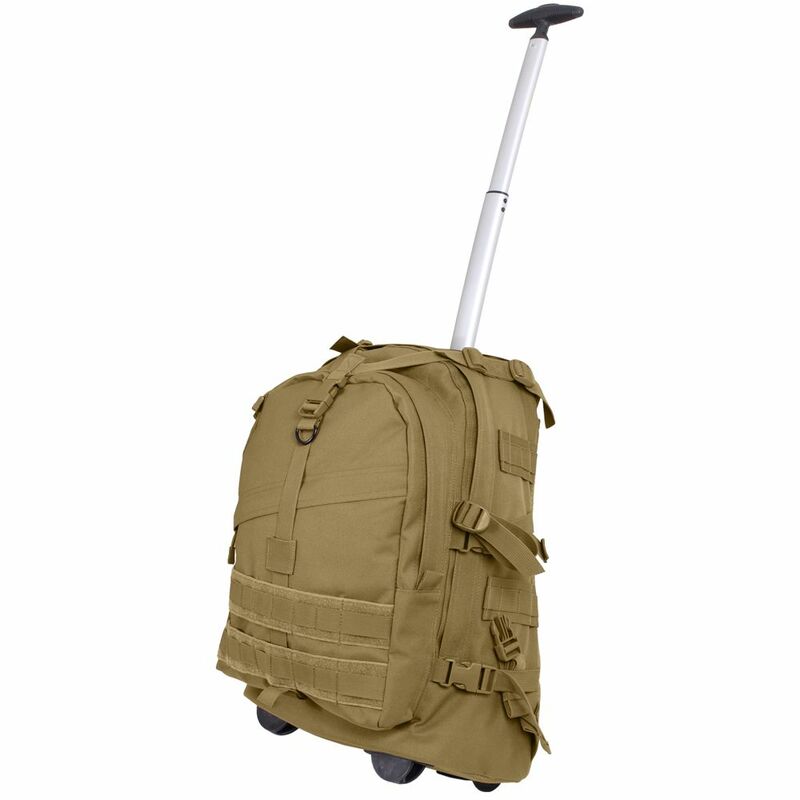 Expect to see the same high quality backpack and features with the added benefit of the telescoping aluminum rod and wheels. 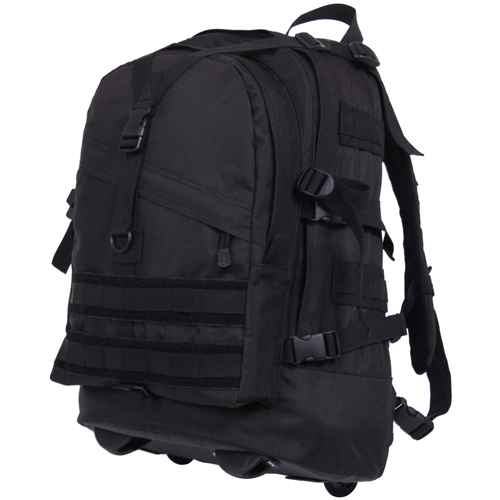 We've padded the back of this tactical pack for added comfort but kept popular features, like Mollecompatibility & hydration bladder compatibility. Dimensions: 19" X 15" X 7.5"